This natural formula improves estrogen metabolism and elimination, which helps minimize symptoms related to excess estrogen. Indoles (indole-3-carbinol) are natural substances produced through the oxidation or fermentation of vegetables from the cabbage family. In the 2nd century BC, Roman politician Cato the Elder wrote about how the use of cabbage leaves could improve benign superficial tumours. It only took another 2,000 years for researchers to discover that indoles in cabbage could improve estrogen metabolism. They help eliminate estrogen and reduce its harmful effects, without reducing its benefits. Indoles also help prevent the formation of anogenital warts (condylomata) caused by the human papillomavirus (HPV). Studies have shown that rosemary leaf extracts can improve estrogen elimination through the liver. The rosemary used in this formula has been normalized in order to guarantee the amounts of carnosic and urosolic acid, its two active ingredients. Finally, Indian gooseberry, also known as rasayana, is used to improve estrogen elimination through the intestines. Any problem associated with excess estrogen. Breast cancer (following medical and preventive treatment). Premenstrual syndrome (particularly if accompanied by pain in the breasts or uterus and mood swings). Not to be taken in the case of an allergy to vegetables from the cabbage family (e.g., bok choy, broccoli, cabbage, cauliflower or Brussels sprouts). 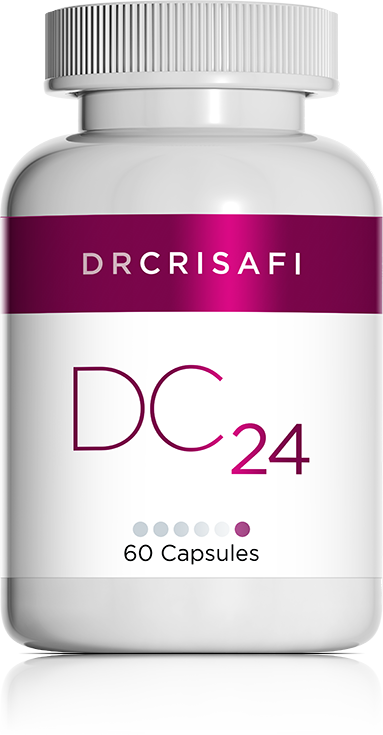 May be used with DC 15 and magnesium (DC 22 or DC 37) to increase the effectiveness of this formula.